Crucial topic. sound is fine. Tibetan Buddhism describes three gates that everyone must pass through on the road to spiritual liberation. 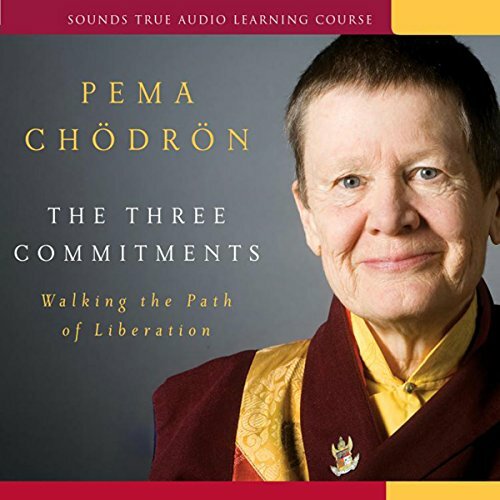 With the Three Commitments, Pema Chodron brings her unique blend of insight and gentle instruction to guide practitioners through each of these thresholds as they seek the source of true happiness. 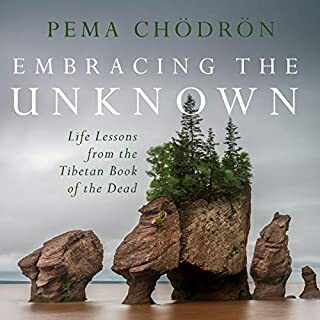 As Pema explains, suffering arises when we resist the laws of impermenance - the fact that everything we know, including ourselves, will one day die. Here she provides teachings and practices for fully embracing life's ephemeral nature using these three traditional monastic vows or "commitments". This CD is clearly a distillation from a retreat during which the Buddhist vows of ordination were being taught. This is not specifically stated. Two of these, the protimoksha vow and the boddhisattva vow are both referenced and well taught on this CD. The samaya vow, the vow pertaining to tantric enlightenment, is mentioned but not included here. Although the reasons for this are obvious - these are very advanced teachings - it does make the title a misnomer and the content a little confusing to the layman. As a layman myself, I had to do some research to fill in the informational gaps. That said, teachers don't come any better than Pema Chodron and anything she teaches is worth our attention. I read/listen to anything of hers that I can get my hands on and I highly recommend her to anyone interested in Buddhist thought. What did you love best about The Three Commitments? 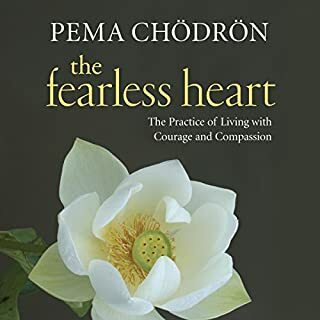 Would you be willing to try another book from Pema Chodron? Why or why not? 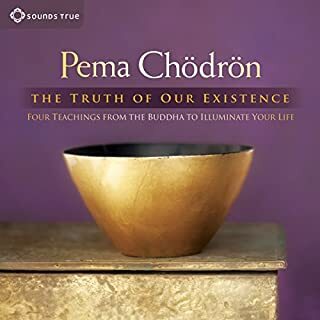 What does Pema Chodron bring to the story that you wouldn’t experience if you just read the book? What is missing are all three commitments. I presume because the listener is not taking monastic vows. Seems appropriate in hindsight, but the title is very misleading when we don't hear everything. Even a chapter heading refers to the commitment and then Pema goes on to talk about something else. Her insightful, relaxed teaching style is unparalleled. There is nothing to criticize in this masterful guide to seeking a meaningful existence in the midst of the storms of being human. What would have made The Three Commitments better? I'm sure there is wisdom to be gained from the content, but I was unable to focus on the words because the audio (recorded live as a part of a weekend course) was clipped and buzzing. Next time hire a professional audio engineer. Please. This is good material, but partway into the book/lecture, the audio quality gets bad. It is distracting enough that it interferes with the book. I will keep the book because I like it, but I would hesitate to recommend it to anyone else. 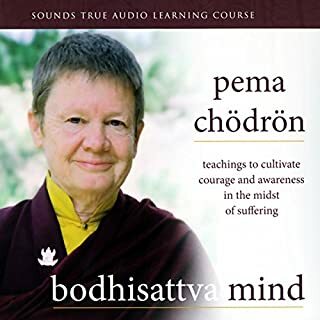 Pema Chodron is always a pleasure to listen to. 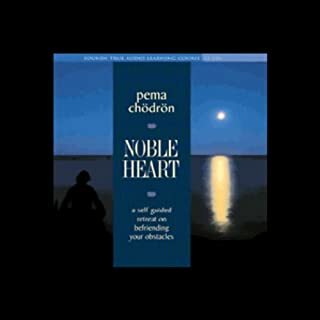 What about Pema Chodron’s performance did you like? I especially like her sense of humor and down to earth approach. Was The Three Commitments worth the listening time? Yes. Absolutely. I just wish the audio quality was better. Where does The Three Commitments rank among all the audiobooks you’ve listened to so far? I love it. 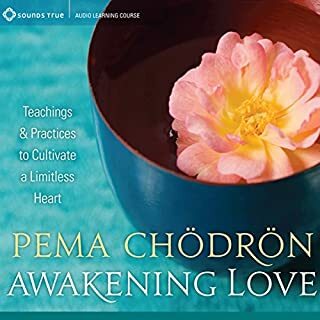 I've been listening to Pema for years and each year her talks allow me to go deeper. I love the way she presents the principles of Buddhism. She is able to relate them in a genuine relatable way to everyday life. It's very validating. I have always had trouble reading the written word. I usually fall asleep. But, I listen to all my audio books on my way to work. So I get a bit of the content every day. This is a great way to learn about yourself and others and compassion for both.